My passion is developing human-centered Artificial Intelligence and Machine Learning methods that enable robots and autonomous agents to better interact with, learn from, and socially assist humans in the real world. After recently receiving my Ph.D. in Computer Science from the University of Southern California (USC) Viterbi School of Engineering , I joined a team of talented engineers and creatives at Embodied, Inc. to enhance human care and wellness with intelligent companion robots. Co-advised by professors Maja Matari&cacute; and Fei Sha, I was dually trained in the fields of Machine Learning and Artificial Intelligence as well as Human-Computer Interaction and Human-Machine Interaction. Specifically, my graduate research developed and studied computational methods to adapt socially assistive robots to meet the needs of individual users over time. I am deeply connected to issues surrounding neurodiversity and disability rights, so much of my work has focused on applications to differentiated education and personalized health care. At USC, I was honored by the 2018 Viterbi Undergraduate Research Mentoring Award and The Order of Areté for mentoring and K-12 STEM outreach activities. 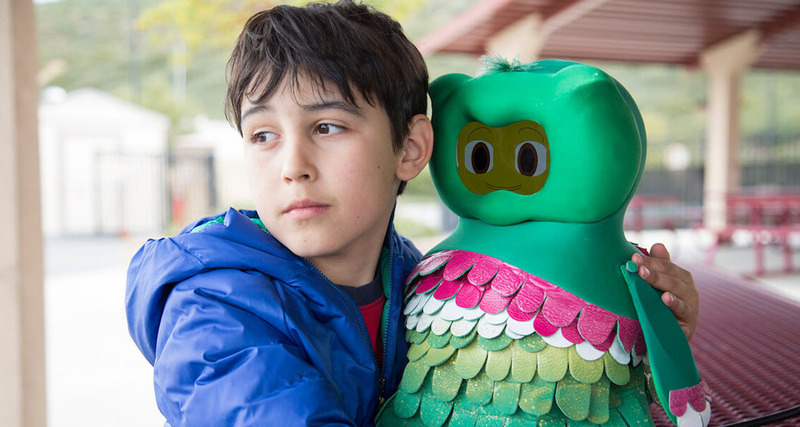 Socially Assistive Robotics (SAR) has potential to supplement expensive and often inaccessible therapy for children affected with Autism Spectrum Disorder (ASD). As part of this multi-university NSF Expedition in Computing, we are deploying SAR systems in the family homes of children with ASD for 30 day interventions. The intervention focuses on sequencing and ordering, turn taking, and emotion recognition skills, adapting its instruction to each individual child over time and socially engaging them in learning through play. 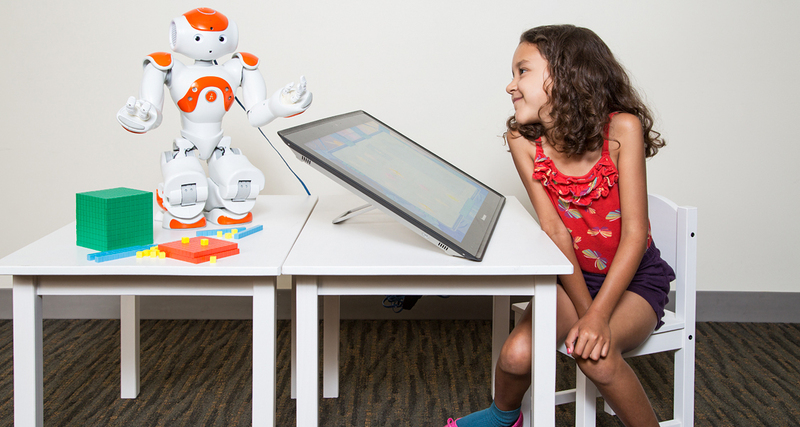 In this research, we developed a Socially Assistive Robot (SAR) tutoring system to support the efforts of educators in teaching number concepts to preschool children. The SAR system was iteratively designed with the input of education experts to be developmentally appropriate. The system was deployed in a real-world preschool classroom. The data collected were used to train personalized models of number concepts learning, leveraging the multimodal data, domain knowledge, and learning style. 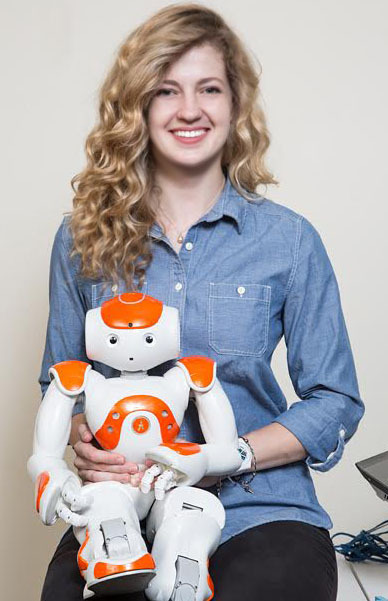 Caitlyn Clabaugh and Maja Matari&cacute;, "Escaping Oz: Autonomy in Socially Assistive Robotics" in Annual Review of Control, Robotics, and Autonomous Systems, vol. 2, 2019. Caitlyn Clabaugh, "Robot Learning," in The Robotics Primer (2nd Edition), Maja Matari&cacute;, MIT Press, 2019. 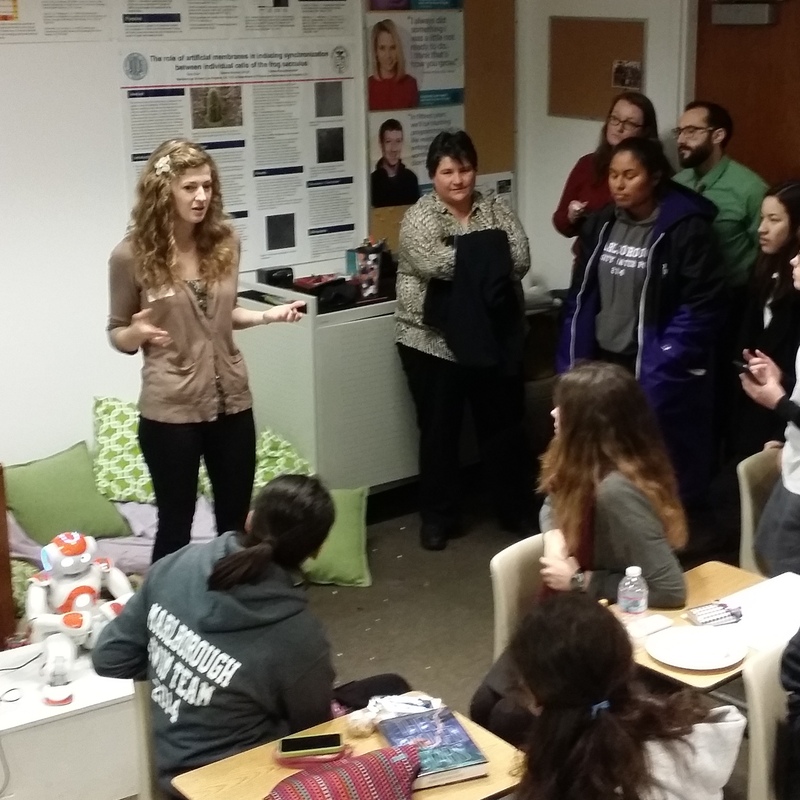 Caitlyn Clabaugh and Maja Matari&cacute;, "Can Technology Save Children from Itself?," in Topical Issue on Roboethics, Paladyn. Journal of Behavioral Robotics, 2018. I've been fortunate to mentor over 40 undergraduate and graduate students at USC, and help lead STEM outreach activities and after-school programs that have reached thousands of K-12 students. 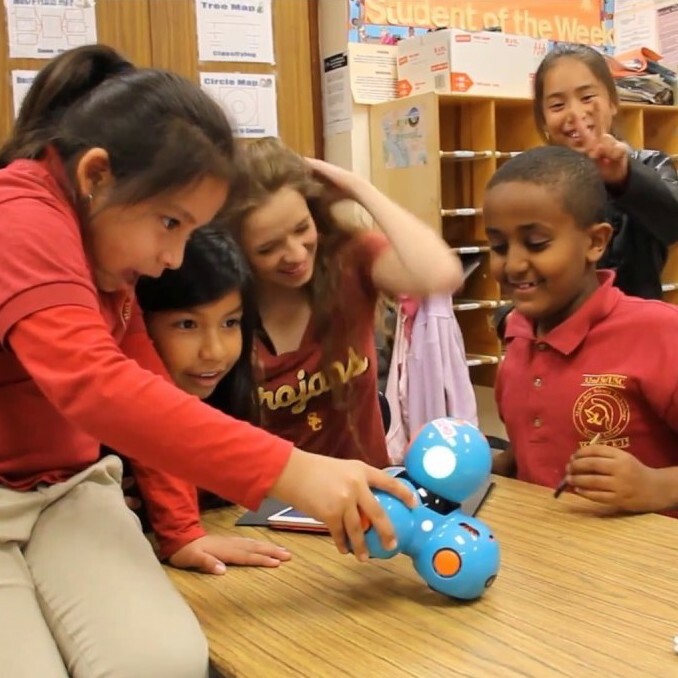 I helped pioneer and develop curriculum for the USC Robotics & Coding Academy after-school program that gives USC students the opportunity to teach robotics to 70 local middle schoolers, annually. I've led and participated in numerous robotics and STEM workshops and programs for K-12 students, including All Star Code, the Global Conference on Educational Robotics and Botball, USC's SHINE program, and many school assemblies. 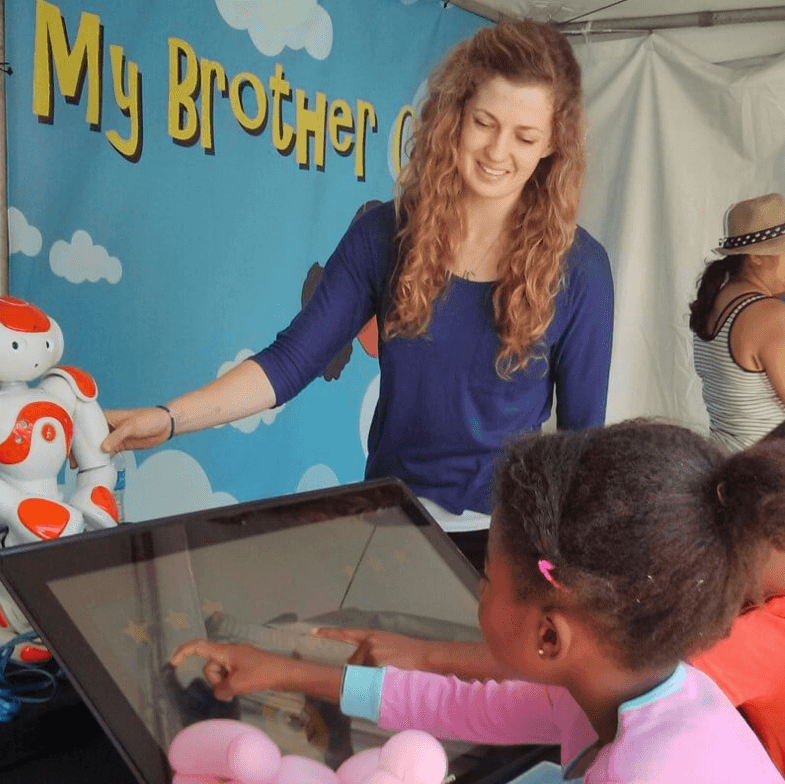 I've given interactive demos on Socially Asssitive Robotics at the USC Robotics Open House and Los Angeles Festival of Books that bring thousands of curious minds to USC's campus, annually. I've been involved with various organizations that promote women in STEM such as Girls Who Code, the Malrborough School, and USC WiSE. Over 40% of the students I've personally mentored while at USC have been women.